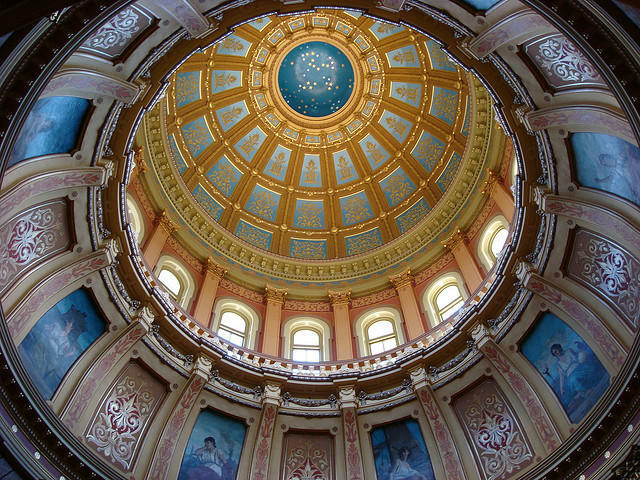 Stateside's conversation with Craig Mauger, Executive Director of the Michigan Campaign Finance Network, and Jim Malewitz, environment reporter for Bridge Magazine. 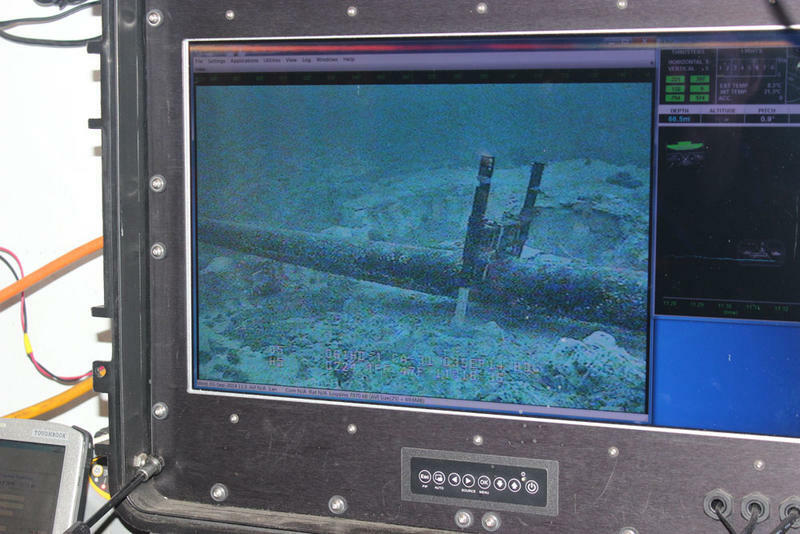 Has Governor Snyder's team partnered with Enbridge Energy in deciding the fate of Line 5? That's the question explored in a joint investigation by Bridge Magazine and the Michigan Campaign Finance Network. 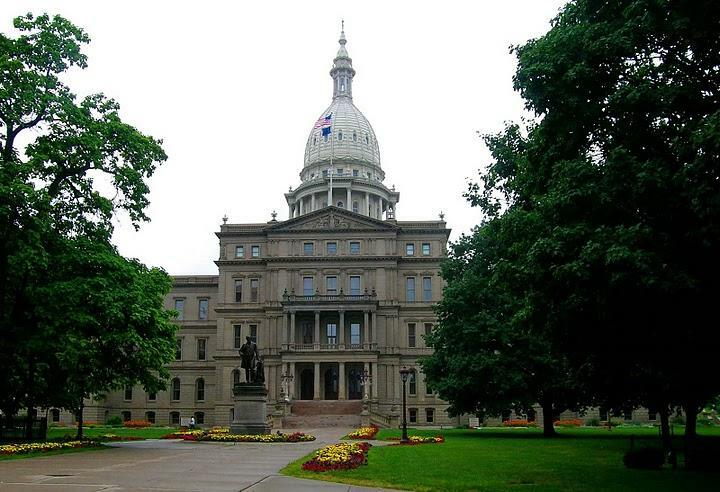 Defendants in the state of Michigan will now be required to listen to their victims' impact statements according to a bill approved by Governor Snyder Wednesday. Impact statements are often the only opportunity a victim has to share their experiences in a legal setting. Open-records disclosures can no longer include information on cybersecurity plans and vulnerabilities in Michigan. Gov. 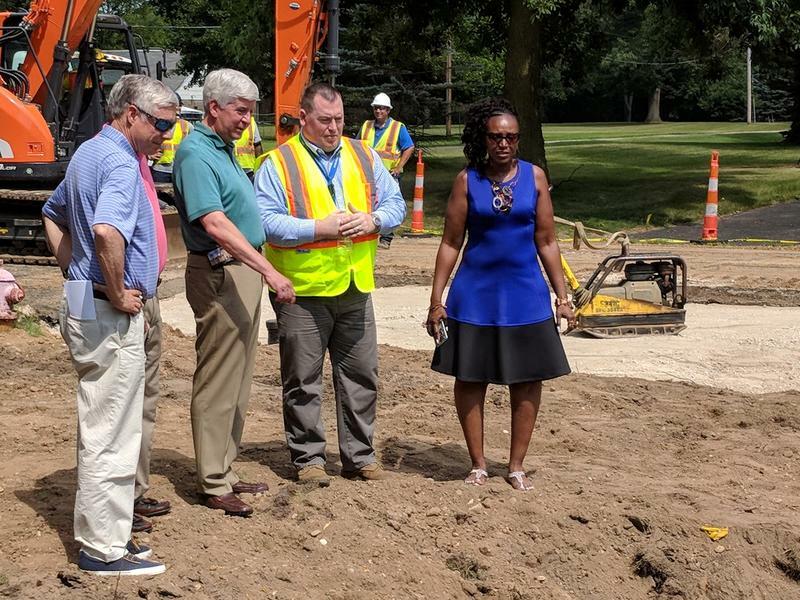 Rick Snyder wants to improve the state's water infrastructure by investing $110 million annually to help ensure access to safe drinking water. Snyder's office says Thursday the money would come from a new state fee on water customers. 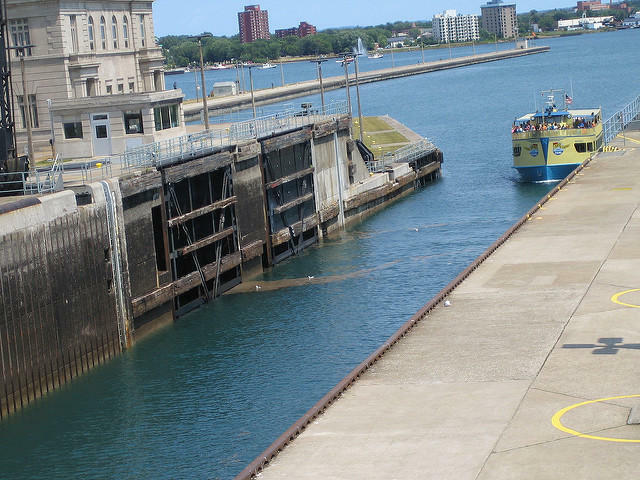 It would be used for priority projects such as water main and lead service line replacement, upgrades for failing infrastructure and collection of information on water infrastructure. Governor Snyder should resign. Here's why. 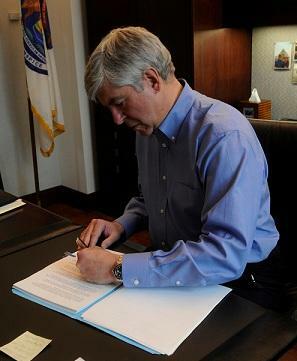 If Governor Rick Snyder were prime minister of Great Britain, he’d have gone to the palace and resigned this morning. That’s because he lost what Parliament would have called a vote of no confidence, and lost it in spectacular fashion. 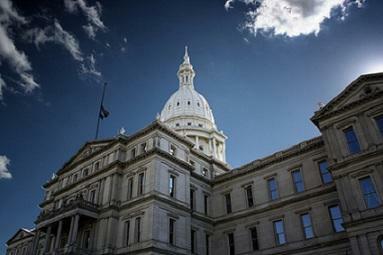 Both the state House and Senate overwhelmingly voted to override Snyder’s vetoes on two bills. There are 90 Republicans in the legislature, and our Republican governor kept the support of precisely one of them. 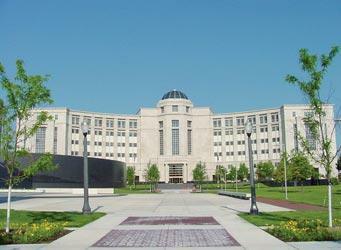 The Snyder administration and legislative economists agreed to revised numbers Thursday. Combined revenue in the $23 billion school aid and general funds is just $13.1 million more than previously estimated for the current fiscal year and $16.4 million lower than past estimates for the next budget year. 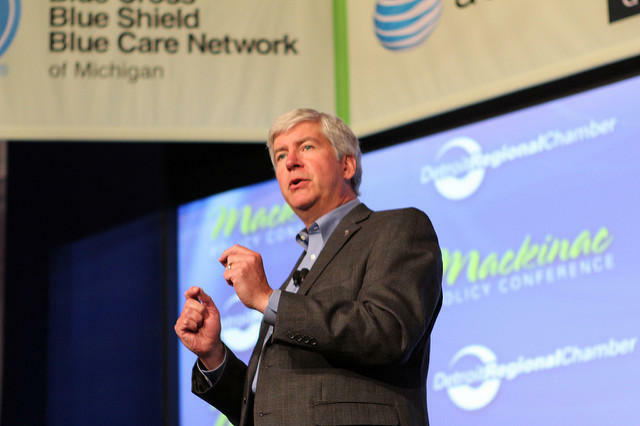 Governor Rick Snyder says he’s concerned that President Trump’s decision to end subsidies that help low-income families pay for health insurance could make rates unaffordable. Snyder says more study is needed to determine the state’s next move, but he hopes Congress will act quickly to settle things. About 156,300 Michigan consumers have subsidized health plans. 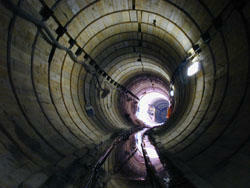 It’s estimated the loss of the subsidies would cause their rates to spike by 28 percent. The subsidies are already the subject of lawsuits. And there could be more legal action to challenge the presidential order to immediately end the subsidies. Governor Rick Snyder says the ongoing Flint criminal cases are dragging on too long, and it’s affecting the ability of the state to recruit and retain public servants. 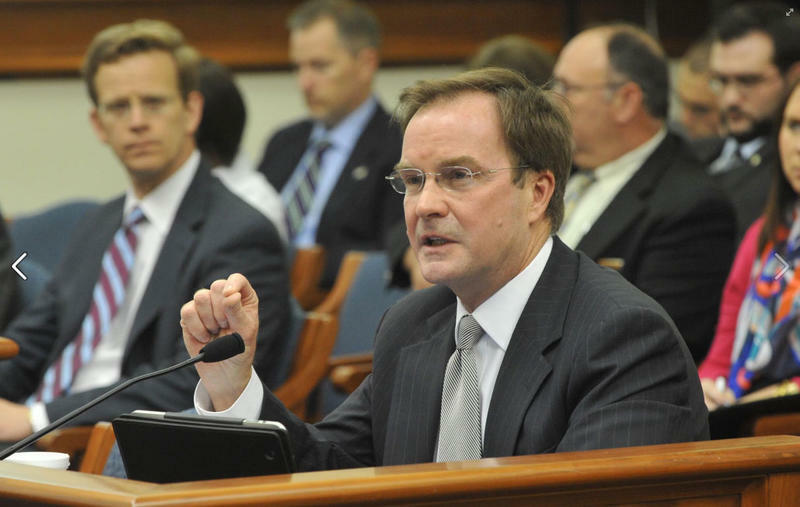 The governor’s remarks at a Republican conference on Mackinac Island this weekend seemed to be a poke at state Attorney General Bill Schuette, who filed the criminal charges against 15 current and former state employees. They include former Flint emergency managers and the director of the state health department. Tensions among Republican lawmakers are rising over the new state budget. Some Republican leaders are trying to change teacher pensions to a 401(k)-style plan for new hires. But critics, including Gov. 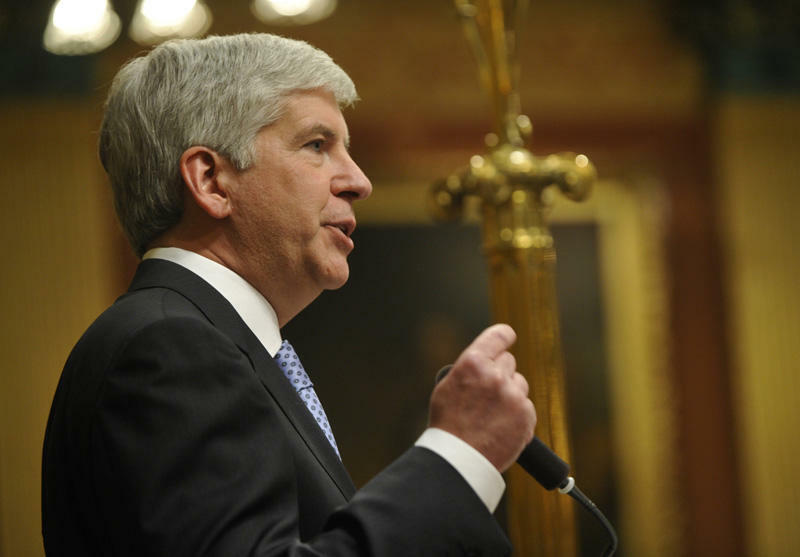 Snyder, say the change would create an unnecessary financial burden for the state. And teachers say the change would be the latest blow to a profession that's already struggling to attract young people. Budget season in Lansing is officially underway: Governor Rick Snyder released his new budget for Fiscal Year 2018 today. 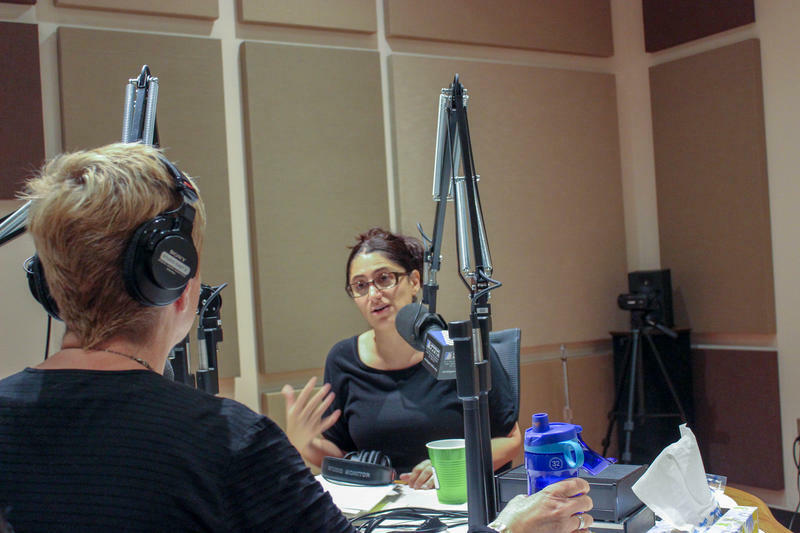 To break down the $56.3 billion package, Rick Pluta, Michigan Radio’s Lansing Bureau Chief, and Zach Gorchow, editor of Gongwer News Service, joined Stateside today. Education, public safety, and paying down the long term debt will be Governor Rick Snyder’s top priorities when he unveils his 2018 budget Wednesday. Some Republicans in Lansing are really hoping to make some aggressive tax cuts this year. Especially since Michigan has a $330 million surplus in the budget. But as Governor Rick Snyder gets ready to roll out his budget plan, he’s shying away from major tax cuts. State Budget Office spokesperson Kurt Weiss said tax cuts need to be balanced with replacement revenue, even though there is a hefty surplus. There’s a split emerging between Governor Rick Snyder and Republican leaders in the Legislature over cutting taxes. 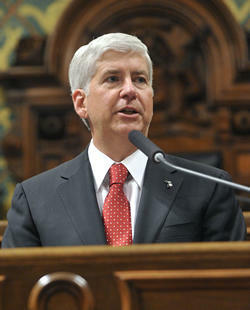 Governor Snyder will present a budget next week for the coming fiscal year. Some Republican leaders in the Legislature are pushing for tax cuts. That includes an income tax rollback and some lawmakers are taking aim at the tax on pensions. Snyder is pushing back. The pension tax was one of his first budget reforms after he took office in 2011. Snyder says that was only fair to people who were paying taxes on 401 (k) and other retirement plans. Self-driving cars are officially hitting roads in the near future. 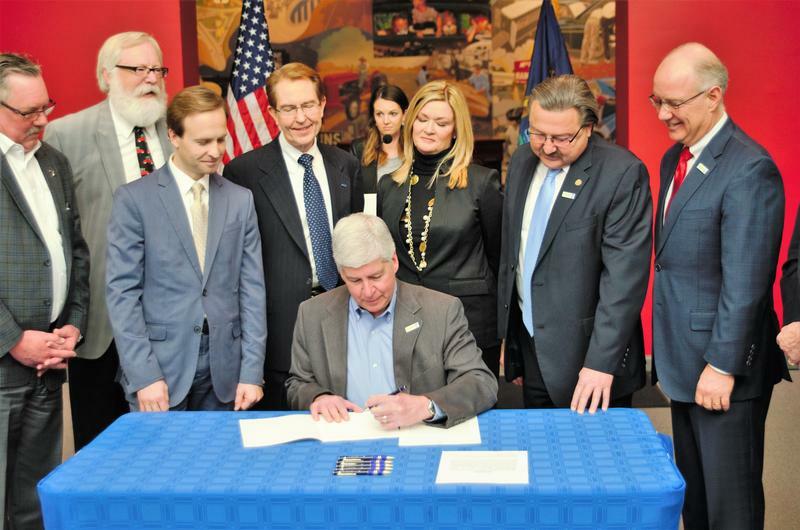 Governor Rick Snyder signed a new law that allows autonomous vehicles to begin testing on public roads. According to state officials, Michigan becomes the first state to make detailed regulations for autonomous car research and development by signing this law. This law defines how self-driving cars can be used on public roads, including testing the vehicles, ride-sharing services and eventually commercial use by the public. And the Associated Press reported that Gov. Snyder referred to Trump's comments about women as "revolting and disgusting." 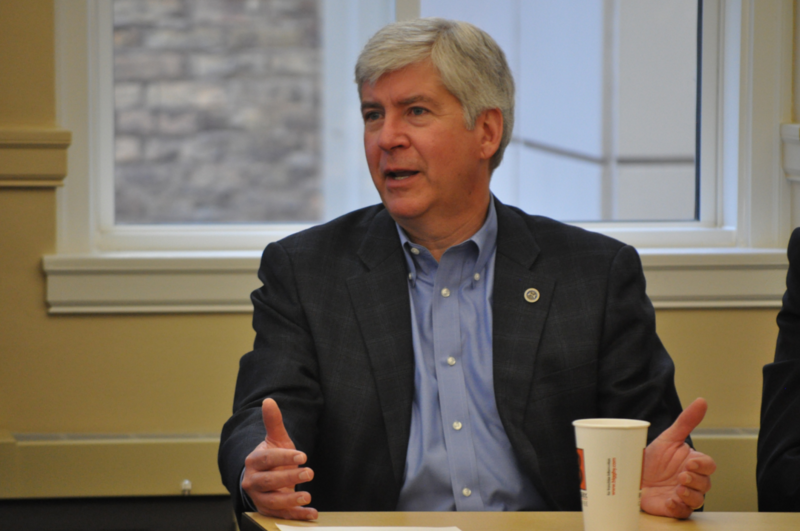 A year after he called for a “pause” in resettling refugees from the Middle East, Governor Snyder says he’s watching and waiting to see what Donald Trump will do with immigration policy. That includes the president-elect’s promise to cut funding to sanctuary cities. Michigan has at least two cities – Detroit and Ann Arbor – that have policies to harbor immigrations regardless of their visa status. 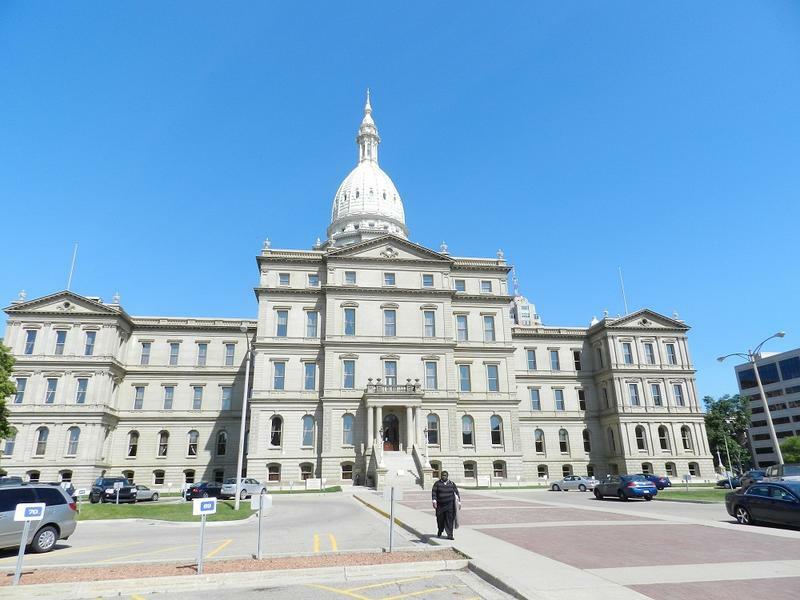 Private and parochial schools in Michigan will be allowed apply for grants that reimburse them for some state-ordered health and safety programs. That’s despite a provision in the state constitution that forbids direct or indirect taxpayer support for private or religious schools. 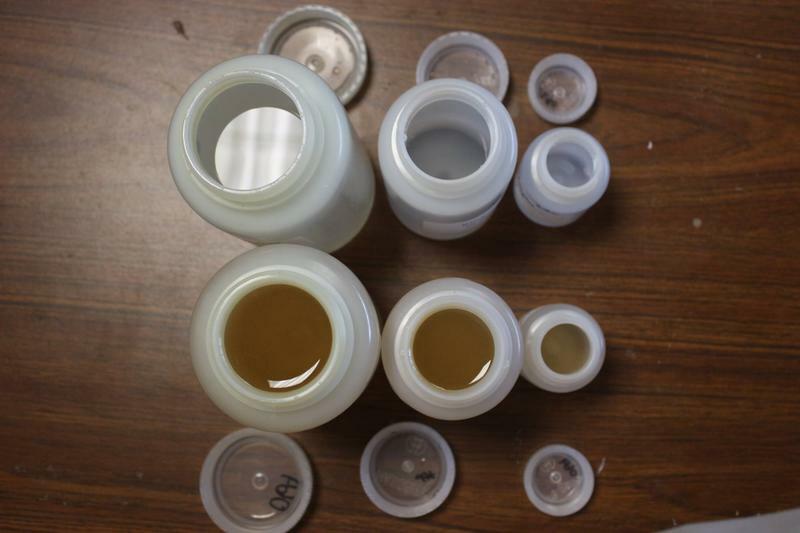 This past April Governor Rick Snyder said he wanted the state to enact tougher lead limits for drinking water than the federal limits. He unveiled the plan in the wake of the ongoing Flint water crisis. The EPA measures lead levels in terms of parts per billion, and the current "federal action level" for lead in drinking water is 15 ppb. Snyder said he wanted to lower Michigan's standard to 10ppb, making it the toughest standard in the country. Defending Governor Snyder from Flint-related lawsuits and investigations could cost taxpayers up to $3.4 million. But a state lawmaker says public money shouldn't be used to defend him. 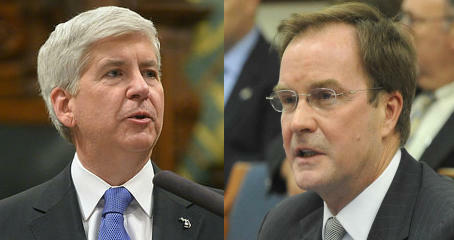 There's a new chapter in the very public rivalry between Governor Snyder and State Attorney General Bill Schuette. This time, they're going at it over a circuit judge's order that bars state health workers from having any contact with the Genesee County Health Department and McLaren Hospital of Flint over new cases of Legionnaire's Disease. Ken Sikkema and Susan Demas​ joined us again today to talk about this week in politics. Only 19% of all voters in Michigan showed up to vote in this past Tuesday's primary election, following a 34% turnout for the presidential primary earlier this year. A new poll from The Detroit News and WDIV-TV gives us a look at how Michigan voters are feeling one week into general election campaign season. Chad Livengood of The Detroit News joined us today to talk about the findings. If you pay for something, it should be guaranteed that you'll actually receive it. 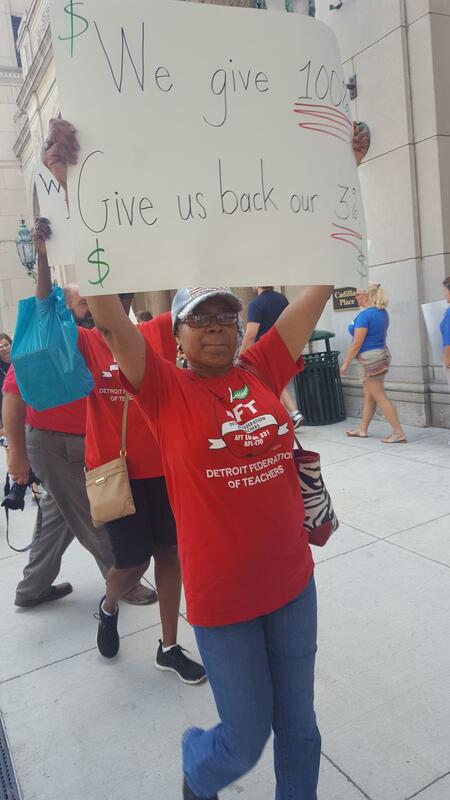 That's the message Michigan teachers are delivering to Governor Rick Snyder. Michigan's teachers’ unions are locked in a court battle with the state over a 3% payroll deduction. The money is supposed to fund retiree health care. But teachers say there's no guarantee they'll see those benefits. American Federation of Teachers Michigan President David Hecker says the state's decision to fight the case is taking money from teachers who earned it. At issue is money withheld from 2010-2012.